Police dog killer jailed for 14 years, says the New Zealand Herald. A Christchurch man who seriously injured two police officers and killed a police dog last year will spend at least seven years behind bars. Christopher Graham Smith, a 36-year-old process worker from Phillipstown, was sentenced on Friday to 14 years for the attempted murder of a police dog handler, wounding of another officer and killing police dog Gage, with a non-parole period of seven years. The High Court suppressed details of the case until today. I’ve said this before, here and here, and I’ll say it again. On July 13 last year Senior Constable Bruce Lamb and Constable Mitchel Alatalo entered Smith’s home on a routine call-out. Smelling cannabis, they announced themselves as police and entered the property. Smith, who said he initially believed he was confronting intruders to protect the large cannabis growing operation in his home, and only later realised they were police officers, shot Lamb in the face as the officer entered Smith’s bedroom. The bullet entered below his bottom lip and went out the side of his jaw, smashing the jaw into 15 pieces. Police dog Gage came to his aid, but was shot and killed by Smith. Atalo was then shot by Smith as he tried to escape out a window. Lamb had Gage on a lead, and did not realise until he reached the driveway that he was dragging the dog’s dead body behind him. The death of police dog Gage is a tragedy, and the injuries suffered by Constables Lamb and Alatalo while fighting the government’s War on Drugs™ are terrible harms. The sentence handed down to Smith is just, but those in government who authorise and continually escalate the War on Drugs™, and those who voted them in, must also shoulder some measure of blame for these violent events. The government does not send New Zealand troops to die in foreign pest-holes fighting other nations’ misbegotten wars. Nor should the government send New Zealand’s police officers to risk life and limb fighting the misbegotten War on Drugs™. Prohibition does NOT prevent drug-related harms. It causes Prohibition-related harms, including police casualties. 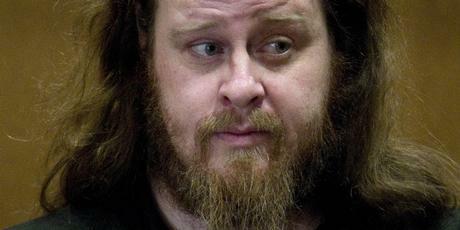 Smith also admitted to charges of cultivating cannabis, a drug which he smoked daily. Police found 26 plants, 18 seedlings, and 400 grams of cannabis being dried, as well as scales and bags in his home. The Press said a scraggly-bearded Smith stood in the docks during sentencing wearing wire-rimmed glasses and a fawn jacket. He was described in court as an intelligent man with a dry sense of humour. Justice Whata said Smith had offended against people who were protecting the community and he had not expressed enough remorse to warrant reducing his sentence. The offending had “profound and long-lasting consequences” for the police involved, the judge said. The profound and long-lasting consequences of Prohibition are ongoing. Lamb and Alatalo were luckier than Wilkinson and Snee. The double tragedy is that all these police casualties are in vain. Prohibition does not keep our families and communities safer. In fact it makes New Zealand a more dangerous place to live, by giving cannabis growers a reason to defend themselves from perceived threats to their operations with potentially deadly force. Prohibition doesn’t work. If it did, there wouldn’t be 400,000 New Zealanders who currently use cannabis, and people like Smith to supply. Prohibition has not reduced demand or illegal supply of cannabis. Only a sensible drug policy, such as that promoted by the Aotearoa Legalise Cannabis Party, can do that. Vote ALCP – End the War on Drugs™. The High Court suppressed details of the case until today. Was he not entitled to a public trial? This is what happens when you remove the rights of citizens so that they dont have protection of the Law. They become exposed to pedations of criminals who know that the can do armed robberies for drugs and drug money, yet it is very unlikely that thieir crime will be reported to the Police (for obvious reasons). That this is a very real treat faced by growers and dealers is why they so often arm themselves for self defence. They will often dish up natural/vigilantee Justice if they descover they have been robbed. Neither can they take Bad debtors to court for failing to pay off their ‘Tick bills’ thus they must either write off the bad debt… or again take matters into their own hands…as debt collectors or ‘execute’ utu. by drug dealers with a High powered air rife. They also did not realise he was a cop but thought they were being attacked by Criminal Gangs. This is another example of how Prohibition results in Violence and death. Wholely appart from the injustice of Prohibition itself, It results in a complete waste of Life and money… and generates massive social chaos. Read about this man today in the paper! I agree that the Governments drug actions were a partial cause of this tragedy. This being said, the shooting could have been avoided if he had simply waited another second and seen that the intruders were police. He also had no need to shoot all three beings. Most of his actions were unjust; this is obvious. However, this being said, it is unlikely the news has given away the full story. Blake, I agree. Just in case I haven’t made it perfectly clear, I think Smith is a scumbag. The sentence he got is the sentence he deserved. I will add that Prohibition also puts control of the supply of drugs into the hands of those whom are prepared to break the Law. Many of these people are violent scum bags and gangsters. Many are not.